All documents posted on the website without direct interaction. All check calls can now be entered via Web check in, either on your computer or through any smart phone. Our load confirmations have a QR Code/Link on the top right corner. You can update locations or any other information with JCT without having to go through any operators or make any phone calls. Same day payment via EFS Check, once paperwork is either scanned through Trans Flo or Trippak services. Standard fee is 5% of remaining revenue. No fees associated, Settlements are directly deposited to your bank account with average days to pay 7 to 14 business days. Sent via Mail with average 7-14 business day’s payment terms. Issued via EFS checks with up to 40% of load revenue paid to carriers. Standard fee is 2% of fuel advance amount. NO FEE charged for this service! Receive .15 CPG rebate on your settlement for fuel purchase through the program. Other soft cost savings include not paying for fuel advance at 2%, not paying to cash check $2 to $3 each time, resulting in a savings upward to another .08 to .09 CPG. Using the My Pilot/Flying J app is easy when partnered with JCT. Simply enter in the fuel card number your JCT Carrier Partner has issued to you and begin fueling. Don’t have a smart phone? No problem. Your JCT Carrier Partner can walk you through how to easily activate the pump without leaving the fuel island. With this flexibility, everyone is able to capture the savings JCT has been able to levy for all our operators. Why continue to pay the higher prices at the pump? Don’t delay. Call your JCT Carrier Partner today at 1-800-324-1900. We look forward to working with you! We have a great working relationship with the team at JCT, they have offered us consistent and well-paying loads to keep our fleet moving. 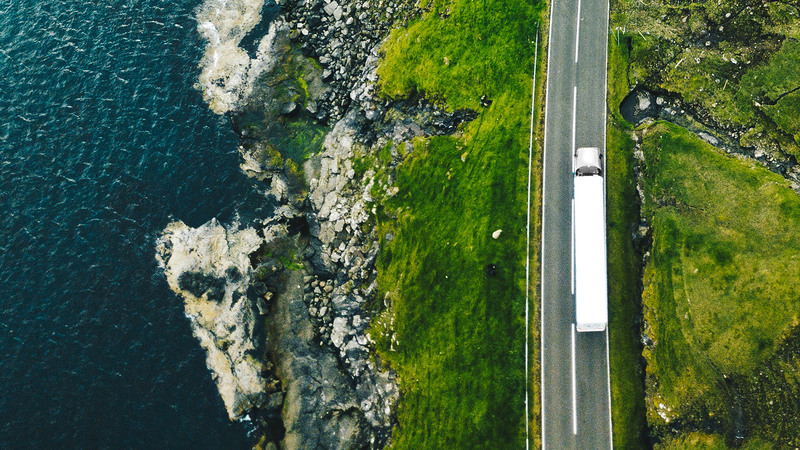 They understand the logistics of keeping their customers happy with on-time freight delivery while also balancing their carrier relationships. No question, they are a top-notch outfit always willing to help make a good relationship better. I have been a carrier for JCT Logistics since 2012. I use their service to keep my trucks loaded when my dedicated freight is slow. JCT Logistics does a great job in their offerings of freight and communicating with my drivers, as they keep the trucks rolling. No question, they are a top-notch outfit always willing to help make a good relationship better. Exceptional service. Local or long haul, has been EXACTLY as described on rate confirmation. I have hauled for JCT Logistics for a few years now, and every load, doesn’t matter if local or long haul, has been EXACTLY as described on rate confirmation. Their staff is very organized and diligent in scheduling P/U & D/L appointments, this greatly reduces wait time at shippers/receivers, they are on top of their loads assisting carriers in giving excellent service to all their customers. This team effort approach makes a big difference from beginning to end. And their after-hours service is EXCEPTIONAL, they answer the phone 24 hrs and are ready to assist you immediately all with a positive professional attitude. Lastly, their Accounts Payable is the BEST in the business, they pay you on time every time and if you call them with any questions they are very helpful and a joy to talk to. JCT Logistics, Copyright © 2019 · All Rights Reserved.